A healthcare services company that provides employees for area hospitals is slashing its local workforce. Crothall Healthcare is laying off 139 employees in the Richmond market after its contract with a pair of HCA Virginia hospitals was not renewed. The Pennsylvania-based company confirmed that the layoffs will be for both management and hourly workers at HCA’s Johnston-Willis and Chippenham Hospitals. A subsidiary of Compass Group, a U.K.-based, publicly traded food service company, Crothall provides services to hospitals such as facilities management, laundry, sterile processing and other sanitation. Per a filing with the Virginia Employment Commission, employees were notified Nov. 15 and the layoffs will take effect Jan. 20. “Employees are eligible to apply for other positions within Crothall Healthcare, as well as with other sectors of the company and with the new EVS company for those hospitals,” Crothall spokeswoman Rebecca Monroe said in a statement. 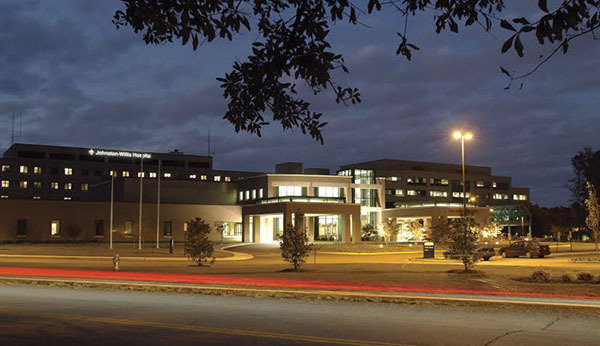 HCA Virginia operates six hospitals and four emergency centers through the Richmond region and central Virginia. Hospital Corporation of America, HCA Virginia’s publicly traded parent company, is based in Nashville and owns nearly 200 hospitals nationwide. HCA spokespeople could not be reached for comment by press time. The Crothall layoff is the second 100-plus employee layoff to hit Richmond due to expiring contracts this year. In June, government contractor Northrop Grumman laid off 348 employees in Chester as its contract with the state expired.